The Aura Elite provides textured fingertips for slippage prevention, high tactile sensitivity, and elasticity. Aura Elite gloves are accelerator-free, eliminating type-1 allergic reactions, and preventing Carpal Tunnel Syndrome. I just roll my eyes when a sales rep wants us to try new gloves. Once we find gloves everyone in the office likes at a reasonable cost I just hate the thought of going through a new glove process, BUT we received a sample of these gloves, and it was a whole box of each size for us to sample, and low and behold everyone (13) people liked them just as much as the others we had been using, some even found the fit to be better, so for the fit, happiness from all clinical staff and cost, these are great gloves! This is a great glove!!! NO more dropping my instruments!!! Being almost an exclusive latex user, these gloves had made the transition to a latex-free glove virtually pain-free! The fact that they feel like latex and fit like a latex glove has made quite a difference. It has made the move to a latex-free glove quite easy and I didn't have to sacrifice the fit I love. They also offer the same tactile sensitivity I am so used to!! So glad I found these gloves! They have become a game changer for me! 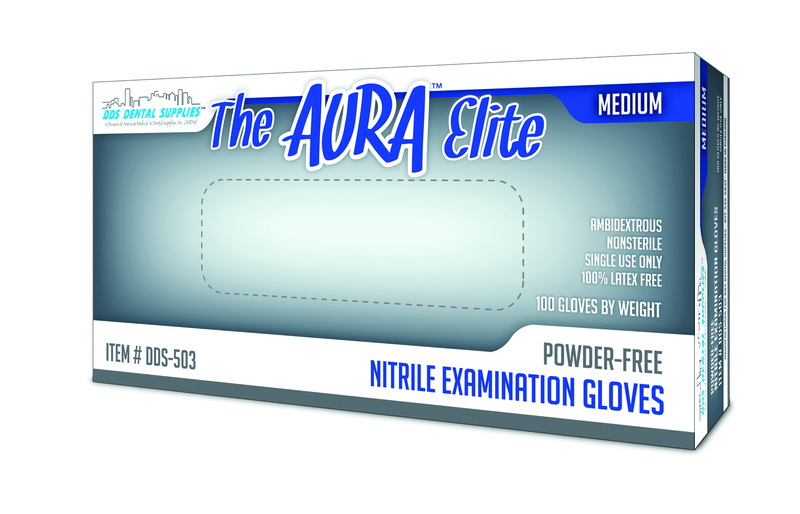 The Aura elite gloves was a glove that i was looking for since i left dental school. this glove has all the features of a latex glove plus it is fully textured and feels like latex, however is latex free. this glove has made dentistry fun again.